Here’s what they’re saying about us! 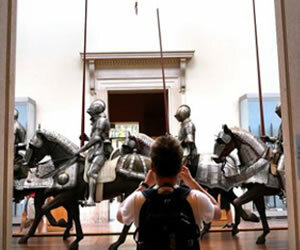 Adventure tour group Fable and Lark is turning the Metropolitan Museum’s collection into an epic fantasia this spring. Starting March 1, you’ll be able to join “Crown and Prophet: An Epic Fantasy Adventure” in the Metropolitan Museum of Art, which brings you up close to works sharing thematic resonance with Game of Thrones, Lord of the Rings and other beloved high fantasy sagas. Read more! Fable & Lark, a tour company that uses games and activities to bring iconic books and stories to life at museums, is launching a “Game of Thrones” and “Lord of the Rings” -inspired tour at The Metropolitan Museum of Art in March. Read more! This week I’m bringing you on a “magical” tour of NYC. 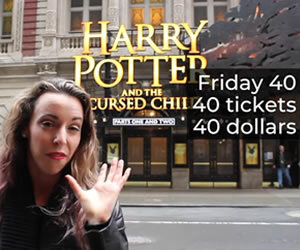 Join me as I show you all of the Harry Potter things to do in New York City! As the girls get bigger (and bigger…. sniffle), I’m enjoying mixing my interests with theirs and seeing what develops. As an example, we planned an afternoon at The Met early in the summer. Yes, they love to CREATE art, but would they want to STARE at art for a couple hours… if I was lucky? Read More! There’s a new tour in town and it’s magical! Looking for something new and original to do in New York City? 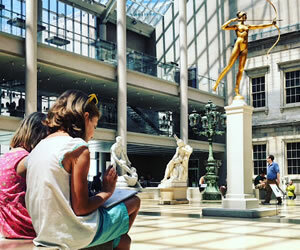 Manhattan has incredible museums just waiting to be discovered, but if you want to experience one in quite a unique way, try one of the many mysterious, entertaining, and fun interactive tours offered by Fable & Lark. Read More! 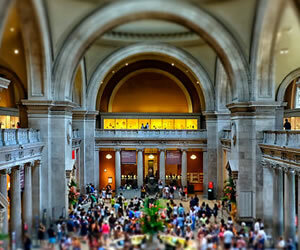 Take a magical tour of the Met: With soaring granite domes, statue-packed rooms and a fair share of hidden treasures, the Metropolitan Museum of Art could easily be mistaken for Hogwarts. Leaning into those similarities, the Fable & Lark: Storied Adventures tour “Griffins, Goblets and Gold” museum tour highlights objects in the collection that recall J.K. Rowling’s books, including castle staircases, stone Gryffindor-esque lions and Horcrux look-alikes. Read More! ‘GRIFFINS, GOBLETS AND GOLD: A WIZARDING TOUR OF THE METROPOLITAN MUSEUM OF ART’ The works in this museum often cast a spell with their beauty, but the young people participating in this expedition are seeking evidence of even more powerful sorcery. For an hour and 45 minutes, J. K. Rowling fans take part in scavenger hunts and games, as well as visit exhibits that evoke Harry’s adventures. Read More! UPPER EAST SIDE — Like Harry Potter on his first day at Hogwarts, you can experience a world of magic through a new immersive tour at The Metropolitan Museum of Art. 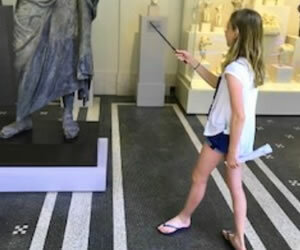 Visitors can spot mythical creatures, Hogwarts-style staircases and items that look like tools used in the “Wizarding World,” including swords and objects that could be horcruxes, explained Upper West Sider Evan Levy, who operates the tours. Read More! 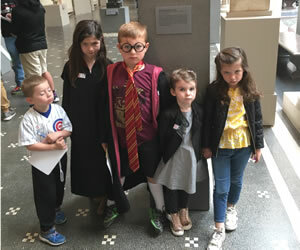 Adults and kids had fun on this Harry Potter tour of the Met! We come to the museum regularly but it felt like a whole new place with Evan’s selection of Hogwarts items. She is great with kids and had a perfect blend of art history and wizardry expertise. I would highly recommend this! 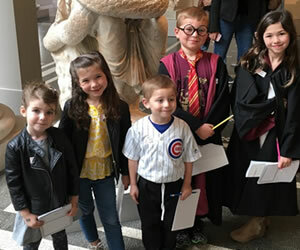 Enjoy the Met via “Cabbages and Kings,” showing families a new way to explore museums through iconic children’s books, like this Harry Potter-inspired tour for visitors who get to look at art objects that represent those in the books. 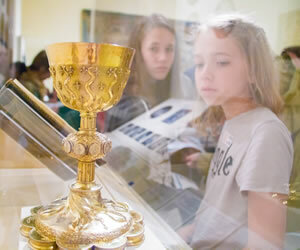 Aptly titled “Griffins, Goblets and Gold,” the tour also includes a mini visual scavenger hunt for horcrux-like objects throughout the museum. It’s just one offered by e.t.c., a tailored events company that will be back this June to premiere “Mixed-Up at the Met.” Read More! 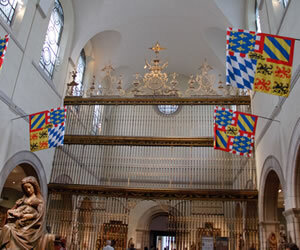 We, my fiancé and I, had a magical time at the met on the griffins, goblets, and gold tour. My first time at the Met my fiancé surprised me with a magical tour for my birthday gift. I am convinced all tours should be as magically inspired. Our tour guide, Evan, was witty and warm as she was creatively genius in all things Harry Potter. We had so much fun and the memories will forever be cherished. I can see years of conversations together with my love, “remember on the tour of griffins, goblets, and gold when…”. Thank you for your dedication and magical inspiration! The wizarding world of Harry Potter may officially be coming to New York next April, when the smash-hit London play Harry Potter and the Cursed Child opens on Broadway. 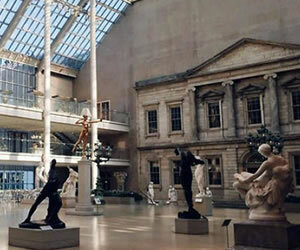 However, for those who can’t bear the thought of waiting almost a year to experience some Potter magic right here in NYC, you only have to venture a few blocks farther uptown to the Metropolitan Museum of Art. Read More! Our tour of the Met was incredible. 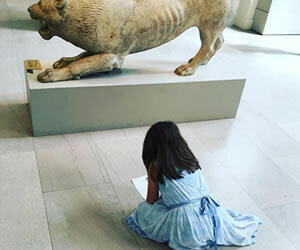 With two girls (ages 7 and 11) in tow, Evan kept them interested and engaged going through the Met, finding angels, sketching, and looking at exhibits. 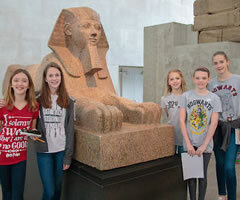 They never got bored and made their first visit to a major museum, an engaging, interactive experience. The 11-year-old said that she loved it. I would definitely book another tour with them! Twenty years ago, a boy wizard with a lightning-shaped scar took the children’s book world by storm. In honor of the anniversary of J.K. Rowling’s Harry Potter and the Sorcerer’s Stone (first published in the U.K.), a New York City-based tour company called e.t.c. has launched “Griffins, Goblets and Gold: A Wizarding Tour in the Metropolitan Museum of Art.” The interactive tour leads fans of all ages through the Met, locating artifacts with ties to the Harry Potter stories and symbols. Read More! A new Harry Potter-inspired tour is injecting a little more magic into New York City’s Metropolitan Museum of Art. Just in time for the 20th anniversary of the first publication of J.K. Rowling’s Harry Potter and the Philosopher’s Stone, ‘Griffins, Goblets, and Gold’ takes visitors on an immersive journey through the corridors and hidden rooms of the largest art museum in the USA. Read More!